Graham wasn’t born with a mandate to become the face of modern evangelism. Growing up, he wasn’t much different from other boys in his town. Billy was more interested in going to the movies than the moving of the Holy Spirit, and he spent more time chasing girls than God. But at a revival meeting the day before his sixteenth birthday, Graham committed himself to Christ and never looked back. That day, he started on the path that would make him the most influential Christian leader in American history. 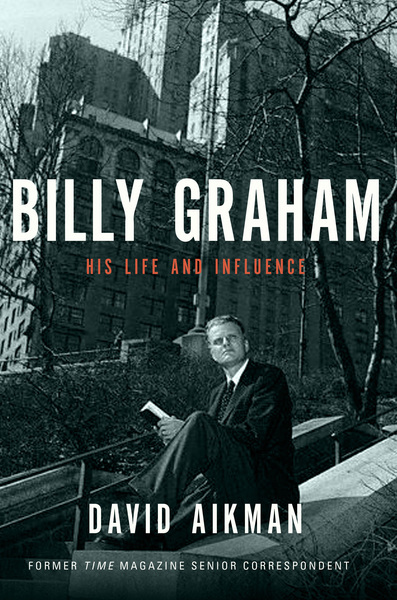 In Billy Graham: His Life and Influence, acclaimed author David Aikman probes critical episodes of Graham’s life that help explain his profound impact, both on the public life of America and other nations and the private lives of their cultural and political leaders. From the racial upheaval of the civil rights movement to the social turmoil of the cold war, Aikman traces Graham’s profound influence on a nation as it went through wrenching changes over the span of more than a half century. Through vivid anecdotes and fascinating details, Billy Graham: His Life and Influence tells the story of how a country boy from Charlotte with a heart for God grew up to help shape the world.